On Saturday, September 24, country singer/songwriter Josh Gracin entertained fans outside the Oak Brook Center Sears. The concert was free, but donations were collected for the Sears Heroes at Home Wish Registry, which supports active military families during the holidays. 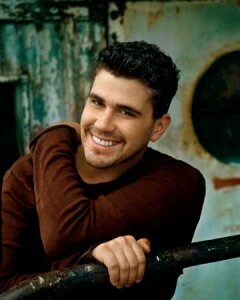 “Can’t Say Goodbye” was written by Josh Gracin and created in collaboration with Sears Heroes at Home. The song, based on the winning entry from the Sears “Portraits of Heroes” song contest, reflects a young war widow’s story and her commitment to keeping her husband’s memory alive. Gracin and his band performed a unique full-band rendition of “Can’t Say Goodbye” live for the first time in front of the Oak Brook audience, and acoustic versions of the tune are available for download online. All proceeds from the song downloads are being donated to Sears Heroes at Home Wish Registry.